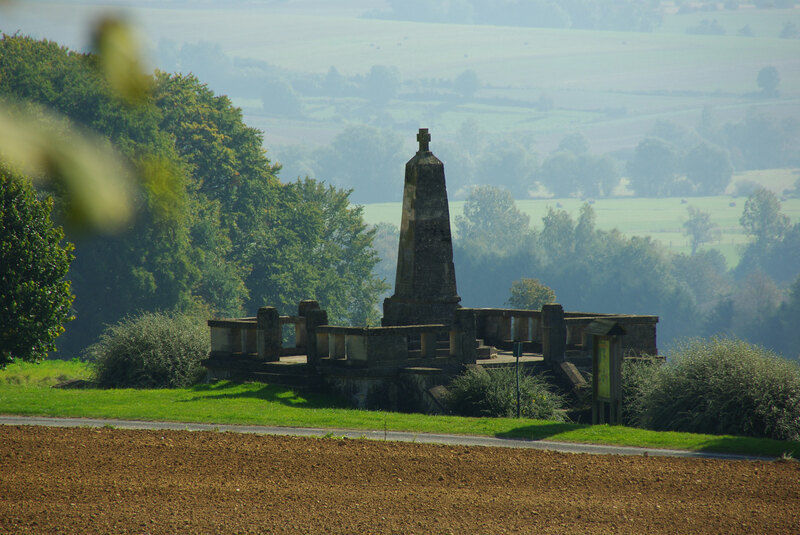 At Luzy-Saint-Martin and its surrounding hills, ferocious battles took place between the 26th and 28th August 1914. After the battle at the frontier, the German army pursued its breakthrough and continued advancing across the River Meuse before joining the Marne. It was intercepted at Luzy by French colonial regiments. Violent pitched battles took place resulting in high losses on both sides. 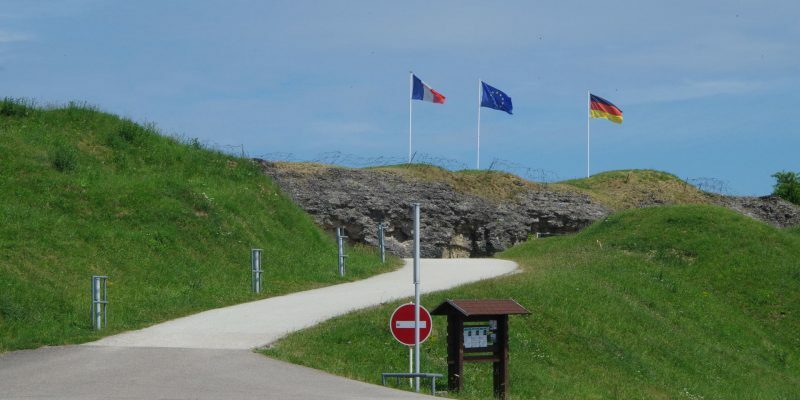 Although the exact numbers are difficult to estimate, nearly two Thousand French and German soldiers fell here during the three days of conflict. 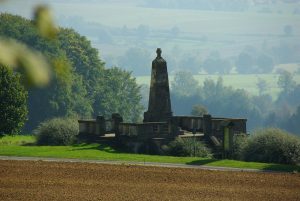 The victorious German army quickly constructed seven enclosures of different sizes and forms on the battlefield where the bodies of the French and German soldiers were collected, separated and buried. In 1922, most of the soldiers of both sides in the conflict were transferred to the French and German cemeteries at Brieulles-sur-Meuse. 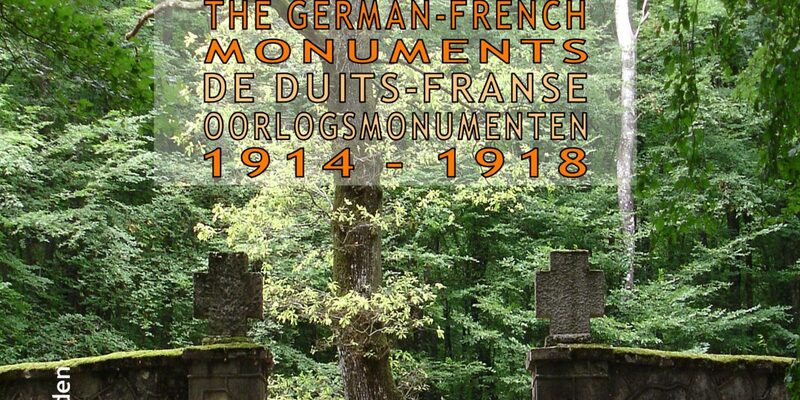 Some German soldiers found their last resting place in the cemetery of Dun-sur-Meuse. 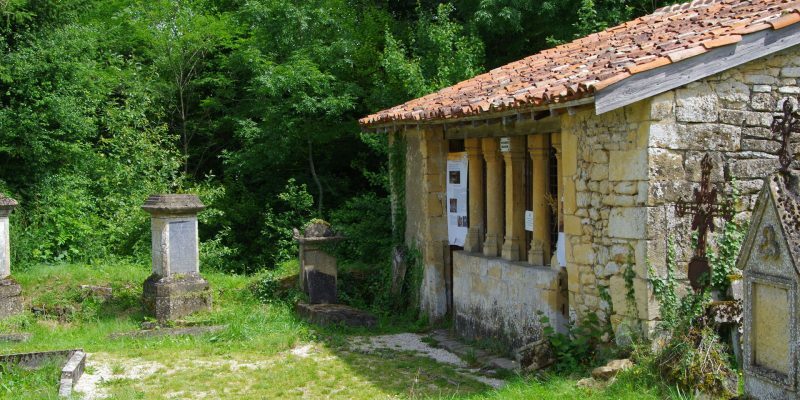 At Luzy, the empty monuments were left abandoned and neglected until 1980 when two of them were able to be saved and are now maintained. On site, both monuments can be visited at any time. One is easily visible on a hill clear of surrounding obstructions. 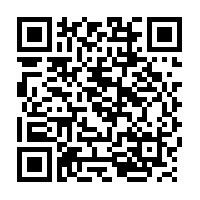 The other, situated some 150 metres further at the forest entrance, is a circular construction. A table of orientation installed at the edge of the forest testifies to the strategic aspect of the location, as seen from the forest border. 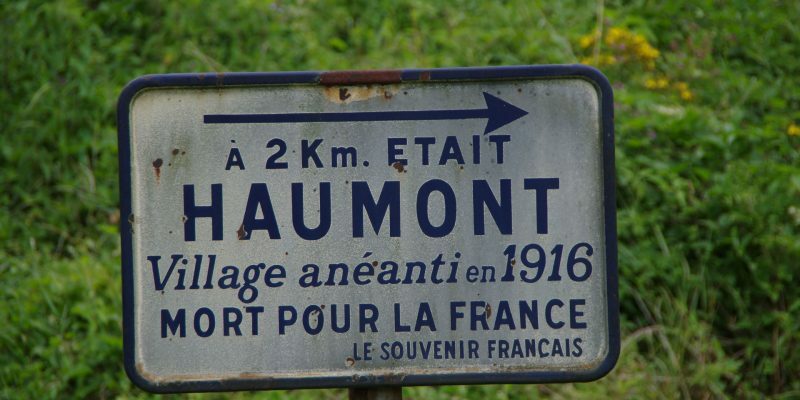 Two commemorative information boards describe the battle events: one is located less than one ilometre from the battle site in the village below; the other is located near the monuments. Two pedestrian circuits from the village pass by the monuments.